Prestige Automobile unveiled the new MINI Clubman to conquer the premium compact segment. The new model offers the highest level of everyday practicality, long-distance suitability, versatility and ride comfort ever seen in a MINI. 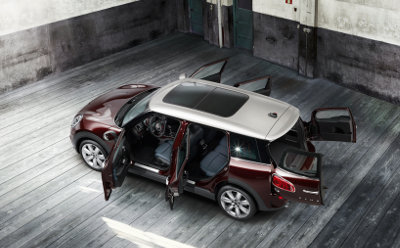 With four doors and the characteristic split doors at the rear, five fully fledged seats and a generously sized, versatile interior, the new MINI Clubman meets all the requirements of the compact class in terms of functionality in its own unconventional way, migrating from its youthful exuberance to a mature responsible outlook, much similar to its customers who have been a part of MINI.